Johann Heinrich Popp of Josefsberg, Galicia, in the old Austrian Empire. Josefsberg (now known as Korosnytsia, Ukraine) was established in 1783/1784 when settlers from the Rhineland Palatinate in Germany were enticed to emigrate to Galicia, Hungary and other eastern realms in the Austrian Empire. The enlightened Emperor Joseph II had issued his Tolerance Patent in 1781, whereby he offered religious freedom and other incentives for Germans to settle in what was a predominantly Ukrainian- and Polish-speaking territory. Among those first settlers at Josefsberg were Johann Heinrich Popp (1743-1798), his wife Susanna Catharina Weber (1746-1808), and their four surviving children, Anna Maria Magdalena (who later married Johann Peter Schärer), Heinrich, Georg Philipp, and Maria Magdalena, the younger (who later married Georg Philipp Klebsch). 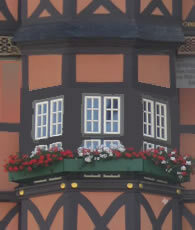 The Popps had originated in Oftersheim in the German Palatinate, long before Germany was unified and became the superpower we see on the European map today. Although not all that well educated, somehow Johann Heinrich was appointed the first parochial school teacher at Josefsberg. Because it was operated under the auspices of the local Calvinist Reformed Church congregation, his supervisor was the local pastor, who provided direction in accordance with church policy and objectives. Rev. Johann Heinrich Fäsi (1755-1830), it appears, was just the second minister to serve the congregation. He arrived in February 1793 and was a man of tremendous energy and vision. It is his extensive report about school affairs in the parish minute book to which we can credit the account below. Johann Heinrich Popp was just the first in at least four generations of teachers to serve parochial schools in eastern Europe. You will note in the extract below that his two sons, Heinrich and Georg Philipp, trained to be teachers. They later taught at Josefsberg, Ugartsberg and Baginsberg-Kolomea, in Galicia. Two of Johann Heinrich’s great-grandsons, who also became teachers, emigrated to Canada in the 1890s and the first decade of the 1900s: Ferdinand Popp (1851-1920) of Gretna, Manitoba, and his brother Jakob Popp (1854-1922) of Melville, Saskatchewan. So a family tradition in education had been established. Although not published here, the Josefsberg-Ugartsberg parish minutes offer a stark picture of the very hard life that the earliest German settlers in Galicia faced. While education of their children was a priority, it wasn’t easy to raise the 52 ½ Kreüzer per student necessary to maintain the teacher’s salary. That amounted to only about 2 shillings in British currency in 1793, which calculates into about £10 of purchasing power today. And yet there were a few still more destitute people in the community if that can be imagined: With obvious concern, Pastor Fäsi mentions in his report one boy who was approaching school age, but because his mother was a widow, she didn’t have the wherewithal to dress him in trousers so he could attend school even though she couldn’t pay the fees anyway. Thank you once again to Reinhard and Michelle for making available to us this unparalleled snapshot of Johann Heinrich Popp and his community as they stood in 1793. Copy of the description of the local school system, which was supplied on the 23rd of July in Sambor and sent on the 29th of July to Mr. Hofmann, the superintendent in Lviv . . . .
At the start of my service as local minister, I prioritized the providing of youth education as much as possible, and in the school lessons, as much as my other affairs allowed, to keep pertinent supervision [of the school], convinced that the most fruit could be expected to be borne from this part of the appointed tasks of the Christian teacher. . . . In my country [Fäsi was originally from Zurich, Switzerland], frequent visits to the schools by the minister are firmly recommended in the pastoral regulations, and so I recognize it as one of my first duties to visit the local school, when possible, to devote an hour or so every week. And so on my first available day - the third day of being in the area - I was able to begin. . . . 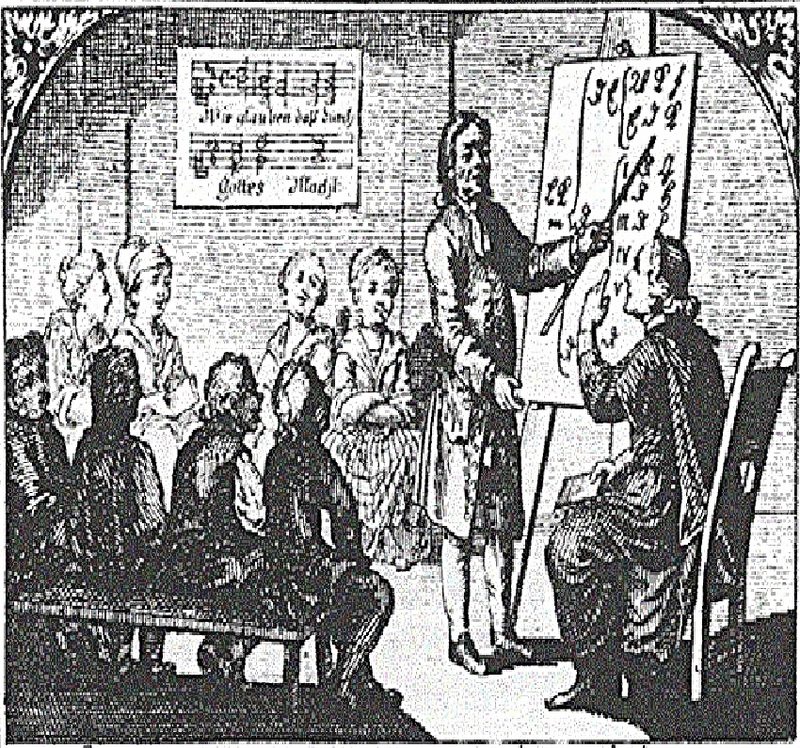 The school teacher, Johann Heinrich Popp, a 50-year-old man, fulfills his professional obligations sufficiently to the best of his abilities, and as far as I know, without intentional neglect which results [in the school?] going into debt. After his schooling, which was probably not intended to educate him to be a teacher, but through which he would become quite informed, his nation couldn’t expect such a rich kind of thinking, due to all sorts of prejudices and unfounded presumptions. But due to his modest, wholesome common sense, which he has plenty of, and since he is experienced in the school of life, he is no child in the bright light of truth and well recognizes the nonsense or lack of logic of some superstitious opinions, the error of which he occasionally tries to reveal in everyday conversations with those who believe such things. Also after much knowledge and clearer insights he was so eager and demanding that I had to loan him the book against superstitions, which was recently advertised in the newspaper. I became acquainted with another not-so-well-known side of him during a devastating incident on April 25th, where his head and heart were able to work simultaneously together in an advantageous manner, as he assisted with the gravest activity in the case of a 2-year old girl who had drowned a few hours before. However, we lacked a few essential stimulants, for example a syringe among others, which are not available at such locations. Therefore unfortunately, our wishes were not realised into success. In his school, he maintains discipline and doesn’t allow for idleness among his students, never mind mischief. He assumes the least tolerance towards mistakes, which require a sharper punishment -- pilfering, deception -- even to the point of expulsion from school -- fist fights and other pranks, which disrupt the flow of learning, or which sheds an adverse light on the foundation of moral character. In his good traits I also count that he is able to receive and follow purposive advice, and that he happily does more than is required of him. For example, contrary to the pastor, after the summer courses ended on July 13th, he took it upon himself to summon the children to come to him every week during the holidays for one hour, and he decided on Saturday morning. His children have a higher than normal thirst for knowledge and are rather manageable. The older 19-year old son, Heinrich, who reads thoroughly and with understanding, has legible and beautiful handwriting . . . . Under his father’s instructions he is also learning algebra and has already been recommended by Mr. Hofmann for a further apprenticeship. At the father’s request, since Easter I have sought to teach the boy the beginnings of the Latin language in a few private lessons. His father would not be jealous when the boy learned more than him, as the father was no longer able to in those strenuous years. It was a pleasure to once again take a small glimpse back into this once-favoured language of mine, even when I didn’t have the time to dare explain an author’s classical texts, except through the use of German language. It is essential that this German language use is from a real school teacher, as I consider myself to be, to bring these teachings to light for him so that he can achieve more. It is necessary the teachings don’t result in the ordinary style of school teachings where he has Latin fragments thrown at him, which he himself cannot digest, without any regard to number, ending, gender etc. and therefore the meaning is lost, in both hearing and seeing. His 13-year-old younger brother, Georg Philipp, learns, as in the past, much from him, reads without initiation, writes as Appendix III and IV demonstrate, and appears to have unquestionable predispositions towards school work, whereby with time, as Mr. Hofmann gives him hope, he could take advantage of a [posting to another] colony. For some months now, I have been reading the newspaper with both of them, only for the sake of precision in reading every German word, that means in spelling and pronunciation, as they are not required to learn French. Some foreign words, which arise recurrently, are discussed individually so that the whole could be better understood. . . . Some [students], who were under my supervision of the exercises for the purpose of learning to read the written word, had been out of the school system for a long time or they had left earlier at the beginning of spring. . . .
Out of the students who attended school until the end and who have attended these evening lessons for the last few months, they have also acquired the beginnings of this skill - much to my satisfaction - and are looking to increase their abilities of this skill: Philipp Jakob Kerth and Maria Magdalena Popp, school teacher’s [daughter], 8 years old. It was for me exceptionally enjoyable and a show of appreciable evidence of a generous thirst for knowledge, when on the twentieth Sunday of my being here, at nightfall a small flock of students of both sexes from the confirmation lessons, completely unexpected waltzed into my small room and expressed their interest that I practice reading with them. Some were interested due to the reduced schooling owing to their arrival date in the country, and some others out of an unease that they could be soon without a Minister again and who, a year ago, were confirmed far too early by my predecessor. Bey dem Antritt meines hiesigen Pfarrdienstes machte ich es zu einem meiner Hauptanliegen, die Bildung der Jugend so gut als möglich zu besorgen, und auf den Schulunterricht, soviel es meine anderweitigen Geschäfte erlauben, mitwirkende Aufsicht zu halten, überzeügt, daß von diesem Theil der Amtverrichtungen eines christlichen Volkslehrers noch am meisten Frucht zu erwarten sey. . . .
Da in meinem Land der öftere Schulbesuch einem Prediger in d[en] Pastoralgesetzen nachdrücklich empfohlen wird, so hielt ich es für eine meiner ersten Pflichten, der hiesigen Schule, wenn es seyn könnte, in jeder Woche ein Stündchen zu widmen, und machte damit am dritten Tage mein[es] Hierseyns, dem ersten, den ich dazu frey hatte, den Anfang. . . .
Der Schullehrer Johann Heinrich Popp, ein Mensch von 50. Jahren, thut nach seinen Fähigkeiten seiner Berufspflicht ein Genüge, und läßt sich meines Wißens keine muthwilligen Versaümniße zu Schulden kommen. Nach der Erziehung, die er hatte, welche vermuthlich nicht darauf angelegt war, ihn zu einem Schulmann zu bilden, und nach d[en] an allerley Vorurtheilen und grundlosen Einbildungen, so reichhaltige Denkensart seiner Nation ließe sich nicht erwarten, daß er ganz aufgeklärt seyn würde. Aber nach seinem schlichten, gesunden Menschenverstande, woran er nicht verkürzt ist, und belehrt in der Schule der Er[fah-]rung, ist er kein Kind des hellern Wahrheitslichtes, und sieht das Ungereimte mancher aberglaübischen Meynung so gut ein, daß er es zuweilen versucht, im Alltagsgespräche denen, die sie behaupten, ihre Falschheit aufzudeken, ist auch nach mehrern Kenntnißen und hellern Einsichten begierig, so daß ich ihm auf sein Begehren das neülich in der Z[ei-]tung angekündigte Buch wider den Aberglauben verschreiben muß. V[on] einer noch nicht genug gekannten Seite lernte ich ihn bey einem trau[rigen] Vorfall, wo sein Kopf und Herz zugleich auf eine vortheilhafte Weise sich zu produziren Gelegenheit hatten, am 25ten Apr. kennen, da er bey der Behandlung eines vor ein Paar Stunden ertrunkenen zweyjahrigen Mädchens mit der größten Thätigkeit assistirte, wovon aber, [da] uns einige unentberliche Belebungsmittel, z.B. Kleystirspritze u. andres, das an einem solchen Orte nicht zu haben ist, mangelte, ley[der] kein unsern Wünschen entsprechender Erfolg zu sehen war. In sei[ner] Schule hält er gute Disziplin, und läßt seine Scholaren nicht lange [un-]thätig seyn, viel weniger Muthwill treiben. Am wenigsten glei[ch-] gültig bezeigt er sich gegen Fehlern, welche eine schärfere Ahndung fodern, Mausereyen, Betrügereyen, zumal in dem Punkt des Entgehens der Schule, Balgereyen und andre Bubenstüke, welche den Fleiß im Lernen aufhalten, oder gar auf die Grundlage des moralischen Charakters ein nachtheiliges Licht werfen. Zu seinen guten Zügen zähle ich auch, daß er sich auch von zwekmäßigem Rath leiten läßt, und daß er gerne etwas mehr thut, als man nach dem strengsten Buchstaben von ihm fodern könnte. Zum Beweise deßen dient, daß er nach dem am 13ten Jul: geendigten Sommerkurse gegen den Pastor sich anheischig machte, die Kinder während den Ferien in jeder Woche eine Stunde zu sich kommen zu laßen, wozu sogleich der Samstag Morgen bestimmt ward. Seine Kinder haben mehr als gewönliche Lernbegierde und nicht gemeine Gelehrigkeit. Der ältere 19jährige Sohn, Heinrich, liest fertig und verständlich, hat eine leserliche wol in die Augen fallende Handschrift, wovon Beylage I. und II. als Proben hier beygegeben werden, übt sich unter des Vaters Anleitung im Rechnen, und ist als Schulkandidat bereits von Herrn Hofmann zur weiteren Ausbildung empfohlen. Auf des Vaters Verlangen hin, der nicht eifersüchtig wird, wenn der Junge mehr lernt, als der Alte in den dazu tüchtigen Jahren zu lernen nicht in der Lage war, suchte ich ihm seit Ostern die Anfänge des Lateinischen in einigen Nebenstunden beyzubringen, um das Vergnügen zu haben, mich in dieser mir ehemals lieben Sprache auch wieder ein bischen umzusehen, und ihn, wenn ich ihn schon der Zeit halber nicht mehr zum Verstehen eines klassischen Autors bringen dürfte, wenigstens mit der deütschen Sprachlehre, die einem ächten Schullehrer, wie mir dünkt, nicht ganz unentbehlich ist, bekannt zu machen, und allenfalls auch so viel bey ihm auszurichten, daß er nicht nach Art der gewönlichen Schulpedanten, mit lateinischen Broken, die er selbst nicht verdauen mag, ohne alle Hinsicht auf Zahl, Endung, Geschlecht u:s.f. so schreklich um sich zu werfen, daß einem, der was davon versteht, Hören und Sehen vergehen möchte. Sein jüngerer 13jähriger Bruder, Georg Philipp, faßt, wie im Vorbeygang, manches von ihm auf, liest ohne Anstoß, schreibt so, wie Beylage III. und IV. zeigt, und scheint auch nicht zu verachtende Anlagen zum Schularbeiter zu haben, wovon er mit der Zeit, wie Herr Hofmann ihm Hofnung machte, bey einer Kolonie Vortheil ziehen dürfte. Mit bey den las ich seit einigen Monaten die Zeitungen, in denen ich sie, einzig um der Genauigkeit im Lesen willen, weil sie doch nicht Französisch lernen müßen, jedes Wort deütsch, d.h. buchstäblich, aussprechen laße, ihnen aber auch manches Fremde, das zum öftern vorkommt, und einzeln genohmen, so viel Licht über den Sinn des Ganzen verbreitet, daß, ohne die Idee davon zu haben, die Zeitung einer versiegelten Urkunde gleicht, überseze oder erkläre, öfters auch ganze verschlungene Perioden, wo das Zeitwort erst nach mehrern Zwischensätzen lange hintennach kömmt, aus einander seze, sie auf die Hauptkonstruktion aufmerksam mache, und sie dieselbe von dem, was blos zur Beleüchtung oder zur Erweiteruung und Verstärkung hinein geschoben ist, so unterscheiden laße, daß sie wissen, was zusammengehört oder nicht, und sich auch einen vernünftigen Begrif von dem Inhalt des Gelesenen machen können. . . .
Unter diesen besonders im Lesen des Geschriebenen sich unter meiner Anleitung Übenden waren auch einige, die entweder lange nicht zur Schule gekommen waren, oder sie bey anbrechendem Frühling zeitig genug verlaßen hatten. . . .
Ausnehmend angenehm war es mir, und ein schäzbarer Beweis edler Lernbegierde, als am zwanzigsten Sonntage meines Hierseins mit anbrechender Nacht ein Schärchen Konfirmirter von beyden Geschlechtern ganz unerwartet in meine Stube hineintraten, und Lust bezeügten, von mir im Lesen geübt zu werden, weil einige bey der Ankunft im Lande an der Beschulung verkürzt wurden, andre aber, aus Besorgniß, bald wieder ohne Pfarrer zu seyn, sich vor einem Jahr von meinem Anteceßor sehr früh konfirmiren ließen.